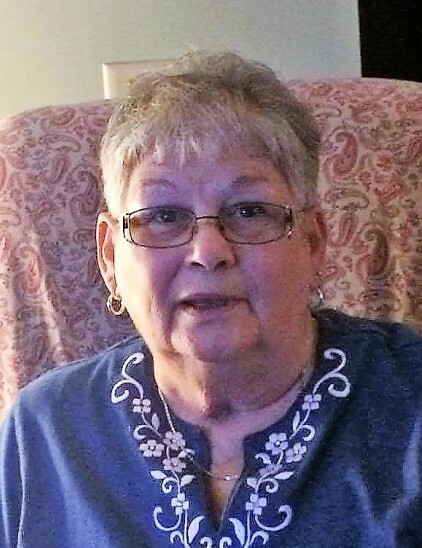 Constance “Connie” A. Nelson, age 71 of Conneaut died Friday, April 6, 2018 at UH Conneaut Medical Center. Connie was born on September 2, 1946 in Erie, Pa the daughter of Harley and Rita (Tetzlaff) Peters. She was a 1964 graduate of Rowe High School. Connie worked for many years at the former Conneaut News Herald as the Editor of the Society page. She then worked for 14 years at the former J.C. Penney in downtown Conneaut. She was a member of Corpus Christi Parish and was very involved with various church activities. Connie enjoyed staying in touch with others on Facebook and was an “arm chair shopper”. She loved bird watching, especially her red cardinals. She also enjoyed watching soap operas and her favorite was Days of our Lives. Connie especially loved the time she spent with her children and grandchildren. Connie was preceded in death by her parents and brother Gary Pinckney. Connie is survived by her husband Ronald H. Nelson, whom she married August 17, 1963, daughter Sandy (Earl) Tuttle of Conneaut, sons Brett (Leigh Anne) Nelson of Kansas City, Missouri, Brad (Shawn Mackey) Nelson of Conneaut, Jeff (Donna Smith) Nelson of Conneaut, sisters Karen (Bud) Wright of Columbus, Colleen (Dave) Richards of Zionsville, Indiana, Kim (Pat) Peebles of Erie, PA, Barb Pinckney of Krum, Texas, grandchildren Tanner, Layla, Wyatt, Jacob, Garrett, Alexis, Emily, Billy, Kristie, Jill and four great grandchildren, Logan, Jaelynn, Lacee and Brittany. Calling hours will be held from 11:00 a.m. to 12:00 Noon on Tuesday, April 10, 2018 at the Raisian Family Funeral Home, 581 Harbor St., Conneaut. Mass of the Christian Burial will be held at 12:30 p.m. on Tuesday, April 10, 2018 at St. Mary Church with Father Philip Miller of Corpus Christi Parish officiating. Burial will follow at Greenlawn Memory Gardens, Route 20, North Kingsville, Ohio. Contributions may be made in Connie’s memory to Multiple Sclerosis Society. Envelopes will be available at the funeral home.